I’m Jay Norry. 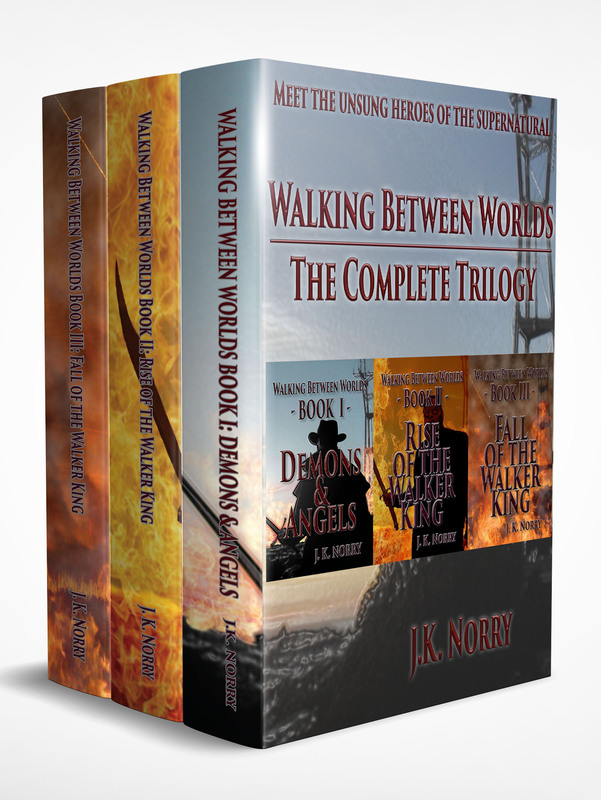 Most of my books are published under the name J.K. Norry. I turned forty-three this last February, according to the calendar. Short answer: Earth, although some would disagree. Long answer: I spent my childhood in California, Arizona, Oregon and Montana. My adult life began in Washington, bounced between Canada and Montana for awhile, and eventually ended up in California. With several years on the road in between, mostly traveling the western United States for work. My most valued education has come from books and life experience. I was fortunate enough to realize pretty early on that most people either live in a world of learning that insulates them from experience or in a life full of experience that shelters them from learning. Striving to strike a balance between the two has shown that books are the best bridge between these worlds, in my experience. My next release will be a bit of a departure for me, right on schedule. ‘Dreaming the Perpetual Dream’ is about a man who goes to sleep in his own bed and wakes up in someone else’s body. This other man is the admiral of a fleet of spaceships trying to find their way to a new home. For a while, he has fun with the experience; it’s just a dream, after all. But soon he realizes the admiral plans on destroying half the fleet, and must consider that this is all really happening. I’ve been excited about this idea for a long time, and it’s very gratifying to be in the final stages of completion. The first time I wrote, I thought I had to. My life was a shambles, I had no real experience at being an actual functioning human being, and it felt like it all started with my out-of-control mind. Journaling got me out of that place, little by little, and saved my life in more ways than one. Reading other people’s books helped me formulate a plan for my life, along with habitual writing. Now when I write, I know it’s because I have to. Writing keeps me happy and clear, and there’s no reason for me to function any other way. A writer is really just ‘someone who writes’. Long before I ever wrote my first book, I considered myself a writer. Not only that, I encouraged anyone with any desire to change their lives in any way to write. I still feel everyone who can write would benefit from doing so on a regular basis. Writing is for more than just authors; it’s for everyone that wants to be more tomorrow than they are today. It took a lot of reading and writing and field work to go from being someone I didn’t much care for to being someone I wanted to be. After the first big rush of deliberate learning I put myself through, several people told me I should write a book to distill the lessons I had learned so others might benefit from that work as well. They were all echoing the voice that had been in my own head for quite some time. 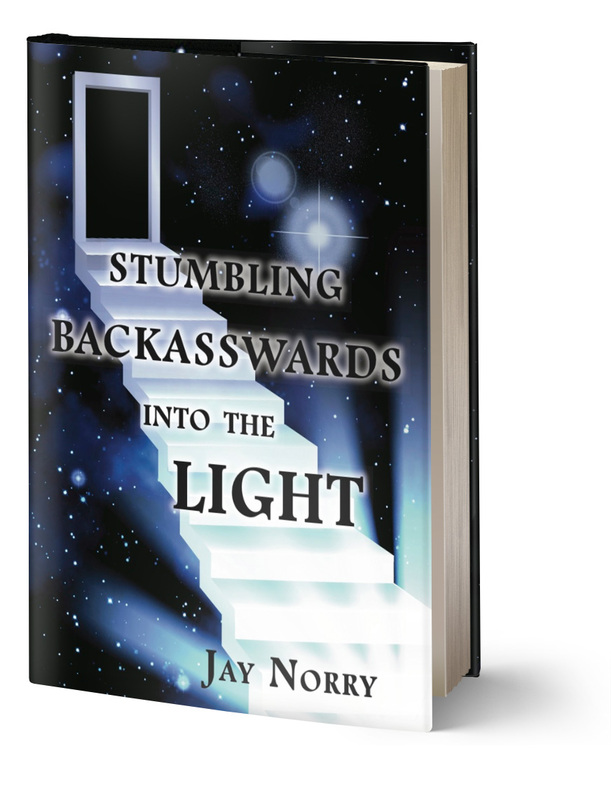 So I wrote my first book, and called it ‘Stumbling Backasswards into the Light’. As deliberate as my journey to myself was, a lot of the answers I found and lessons I learned seemed to find me more than I found them. I used to go into bookstores and wait for the exact book I needed at the time to fall off the shelf and bonk me on the head, it happened so often. Those lessons were all very important, but none was as important as learning to have a sense of humor about myself and my perspective. I wanted that humor in the title of the book, as much as I wanted to impart the fact that I felt very fortunate to have found the path I was walking. ‘Stumbling Backasswards into the Light’ seemed to sum all that up pretty perfectly, and I’m still very happy with that first book title. Books have meant a lot to me my whole life. I grew up reading science fiction and fantasy, horror and romance, and anything else anyone left laying around the house. I got into philosophy and non-fiction as an adult, and realized books could serve about any purpose you want them to. Genre doesn’t dictate what I write; it’s determined more by which of the stories in my head is calling out most loudly to be brought to life next. 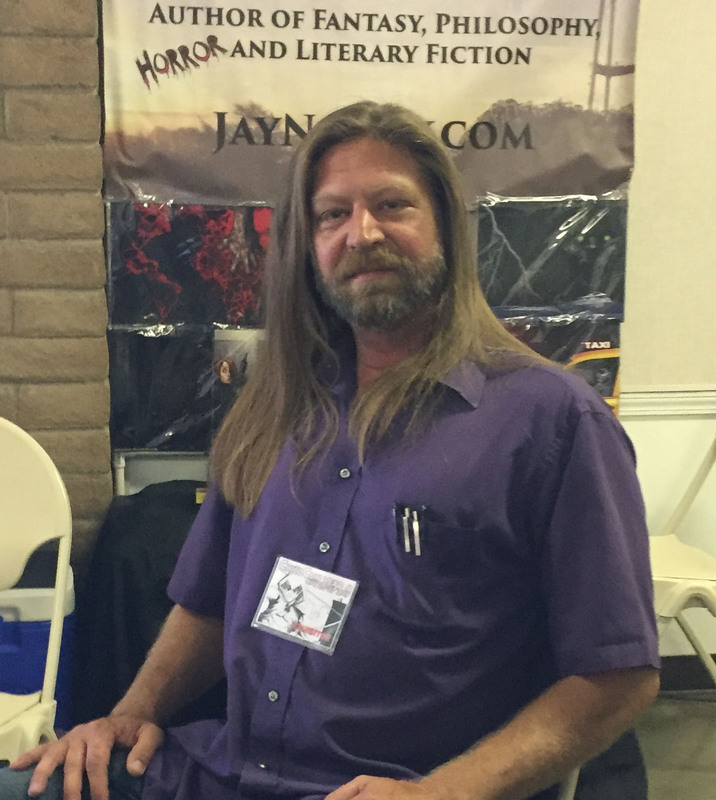 The books I write vary as much in genre and style as the books I read. As a result, I don’t really stick to a particular style. I write how the story wants me to write, and generally notice shifts in my style from a spectator’s point of view rather than an orchestrator’s. Some shifts are more challenging than others, and more noticeable; but as long as that’s my problem and not the reader’s, I feel happy and lucky to accept the challenge. My first book was very much autobiographical, based on events from my real life. The fiction books I write are all stories that exist in some other world, to me; the characters are real and unique in their own ways, and the stories are being told as closely to how I see them happening as I can. Although it’s probably pretty difficult to completely separate personal experience from storytelling, if not impossible, I don’t deliberately borrow from my life to flesh out characters or stories. Although I’m very fond of traveling, and a big proponent of visiting new places to expand my personal perspective, the most important journeys I’ve taken have been internal. I enjoy writing scenes that take place in some city I’ve been to, and calling out some local landmarks or street names to leave fun Easter eggs for people familiar with the area; but so far, my stories have been character and plot driven. When a location comes up that plays some important part in the story, it’s generally one I have made up or feel free to take liberties with. Like Heaven, or Hell, or some unnamed island folks head for to escape the zombies and start anew. My covers are all designed by my publishing partner. I usually have some kernel of an idea, how I want the cover to look. Dawn will either take my idea and turn it into something way better, or come up with her own much better idea. Depending on the type of cover we’re looking to create, we sometimes find an artist whose work has the kind of vibe we’re looking for and commission cover art from them. Working with such talented artists, and seeing what some of them come up with to take a concept to the next level, really makes me proud to have their work on the cover of my book. Once we get the art, Dawn takes it from there and makes it a book cover. Telling a great story without having some meaningful message embedded in it is a very rare thing. Even if the message isn’t deliberate, or openly stated, a good story will have lessons in it for every level of learner. That being said, I don’t think readers have to all grasp that message in any way that would be meaningful to the author. As long as they get something from the book that is meaningful to them, even if it’s just that they enjoyed reading it, I couldn’t be happier. Christina McMullen really caught my attention from the first time I read one of her books. It can be hard for me to get lost in a story, since I put so much attention toward that process myself; but when I want that, I know I can rely on any of her books. She has incredible ideas, and crafts her stories into amazing books. My favorite author of all time is Richard Bach. His ability to bring the most complex lessons down to Earth in a compelling and entertaining way hooked me from the very beginning, and he never fails to deliver the goods. My partner is the reason I have been able to write as many books as I have. Dawn has been my biggest supporter in all of this, and I would not be anywhere close to where I am without her. She will become a family member in December, when we get married; but I’ll use a legal loophole here to make sure the person who really deserves all the credit gets all the credit. I see writing as my passion. Developing my passion into a career is a big focus in my life, but I think it’s important to stay humble about where I actually am on the path I have chosen. I have to replace my professional income to consider it a career. Several books back, I realized taking a break about halfway through writing a book was very good for me. It gave the story time to steep, helped me see it more through the eyes of a reader, and gave all those extra details and surprises time to reveal themselves to me while I was driving or taking a shower or drifting off to sleep. Although I have never wanted to change anything after a book was published, I changed a lot more during editing before I had that realization. But I would not release a book unless I was completely happy with every aspect of it, then or now. 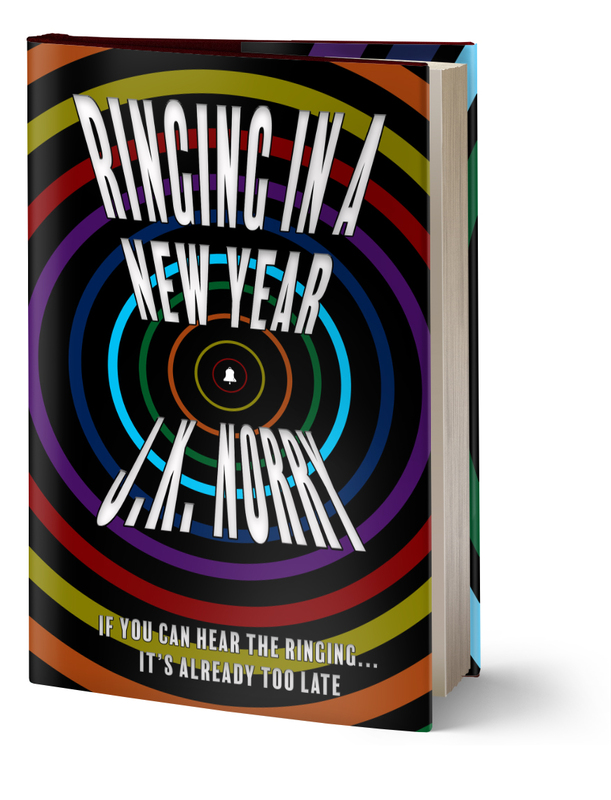 ‘Ringing in a New Year’ was my most recent release. The first in a series, this book is about a body snatcher who loses all his memories from his last body each time he takes a new one. He must figure out who he is and what he is, and how to not forget it all again this time. I really had to pay attention to the way this story wanted to tell itself to me, and how it wanted me to tell it to others. It taught me a lot about giving each book the room it needs to breathe, and how to use that time productively. Naturally, I would love to see any or all my books get made into movies or television series. The actors I would most like to see play the roles would be the ones chosen by the people making the movie. I know how hard it is to get good at something complicated, and I would want someone who knew what they were doing to cast the parts skillfully. I would most likely become a big fan of them all, if I wasn’t already. Know why you’re writing, and what you expect from yourself and your books. If you’re looking to tell your stories the way you want to tell them, there has never been a better time to do it. People with a passion for writing have more resources than ever. For those of us that have a lot of stories to tell, and love writing like nothing else, building a sizable catalog of books is the best way to begin. Build your readership with regular releases first and foremost, while using things like social media and a newsletter to draw those readers closer to you. Most of all, be humble. No matter where you are or what you have done, there is always more to learn. Yeah, the same thing I say at the end of every blog and newsletter: Thanks for reading! There was a time when I saw writing as something I did in a vacuum, that had no effect on anyone but me. The first time I got a message from someone saying they loved my books, I was ecstatic in a way I hadn’t expected. A few years and quite a few messages later, and I can honestly say every one of them still means a tremendous amount to me. Knowing there are people looking forward to reading whatever I release next makes me feel very grateful and fortunate. Both laughing and crying are pretty important parts of my life. I usually get a good hearty laugh or three every day from the podcasts I listen to; Joe Rogan, Bill Burr, Ari Shaffir and Greg Fitzsimmons are my go-to comedy podcasts. I cry when I feel uplifted or touched by something, or when I make a point of dwelling in gratitude. Technically, you could call writing my hobby. Until I am making a certain amount of money from my books, I can’t realistically call it a profession or career. Since I started focusing on building a library of my books, most other hobbies have fallen away. I’d certainly like to get back to drawing and gardening and reading more, but those things all take considerable time. Right now, that time is for writing. Seafood is my favorite food, specifically swordfish. I love purple so much I used to wish the world was colored entirely in shades of purple. Although I seldom listen to music these days, I am a big fan of anything that makes me feel good. Which is my way of admitting I love Katy Perry. Go ahead, tease me; I don’t care. She uplifts me. Wow, you just stretched the limits of my imagination. My arms must be gone or not working in this scenario, so…dictation software? Complain about not having any arms? Sit around missing writing all day? Lose my mind? I’d rather not find out. I’m not too interested in writing or reading that particular passage. Something funny would be best. Maybe “no digging” or “keep on the grass”. You can find everything related to me at JayNorry.com. My blog is called ‘Thoughts that Hurt to Think’, and is about those things we all somehow live with knowing despite the fact that it should drive us at least a little crazy to know them. My newsletter subscribers just picked from four ideas I shared with them, and decided what book I would give them a chapter from every week until it is done. Then we’ll be on to another ‘pilot season’, and they’ll get to vote on what I share after that. Joining ‘The Secret Society of Deeper Meaning’ is the best way to keep up on what I’m doing. You get the newsletter and the free chapter every week, and you also get to be a member of my favorite secret society! Thanks Fiona, for coming up with such great questions, and for thinking of me. “Dreaming the Perpetual Dream” sounds like a book I’d be interested in. I’ll have to read it when it comes out so I’ll have to request that the library get this book when it comes out. Until then, I’ll be able to check out the other books that this author has written. Thank you for another great interview, Fiona!